The happy cake and bake blogger: The tough part of food blogging "research"!!! The tough part of food blogging "research"!!! So I'm sitting here waiting for a batch of cupcakes to bake and I'm gazing across at all the ingredients that are involved in making the perfect cupcake, or any baked treat when it comes to it. And apart from a cracking recipe it's all about quality at the end of the day. So here are two of my cupboard must haves that will stand you the test of time. 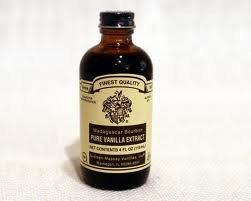 Nielsen-Massey Madagascar Bourbon Pure Vanilla, this little bottle will never let you down, you will not find a higher quality vanilla. You can find it in superquinn or tesco. I like to add it with my wet ingredients so it's easily dispersed. fool proof for all that healthy baking you get up to.